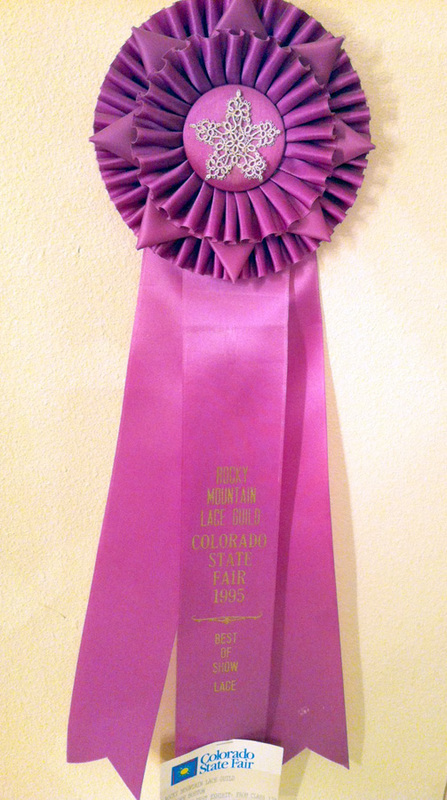 RMLG is a proud supporter of the Colorado State Fair. The Colorado State Fair General Entry competition is open to everyone, regardless of residence. 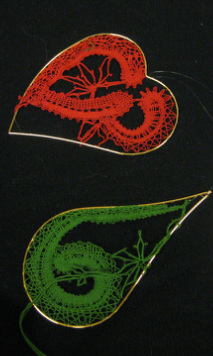 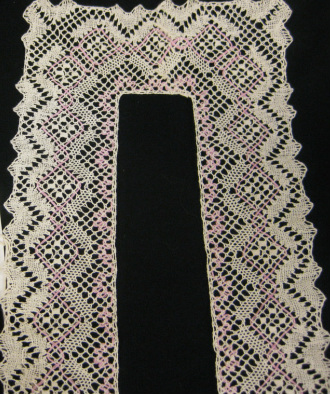 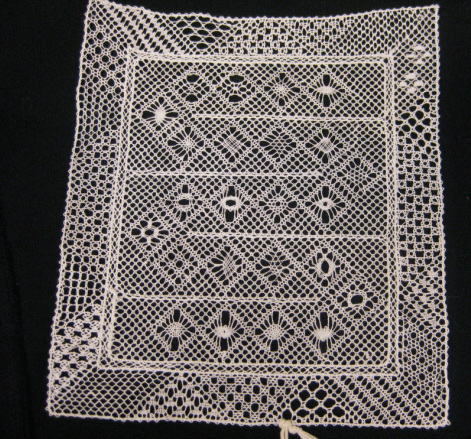 Each year, the lace classes have entries from not only Colorado, but from as far away as Australia and the United Kingdom. 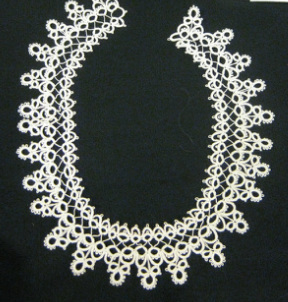 Each year, RMLG provides the judges for the lace classes, which include tatting, bobbin laces, needlelaces, and other laces. Every judge is required to attend a training session taught by RMLG members, ensuring that every judge is fair and consistent in their judging. 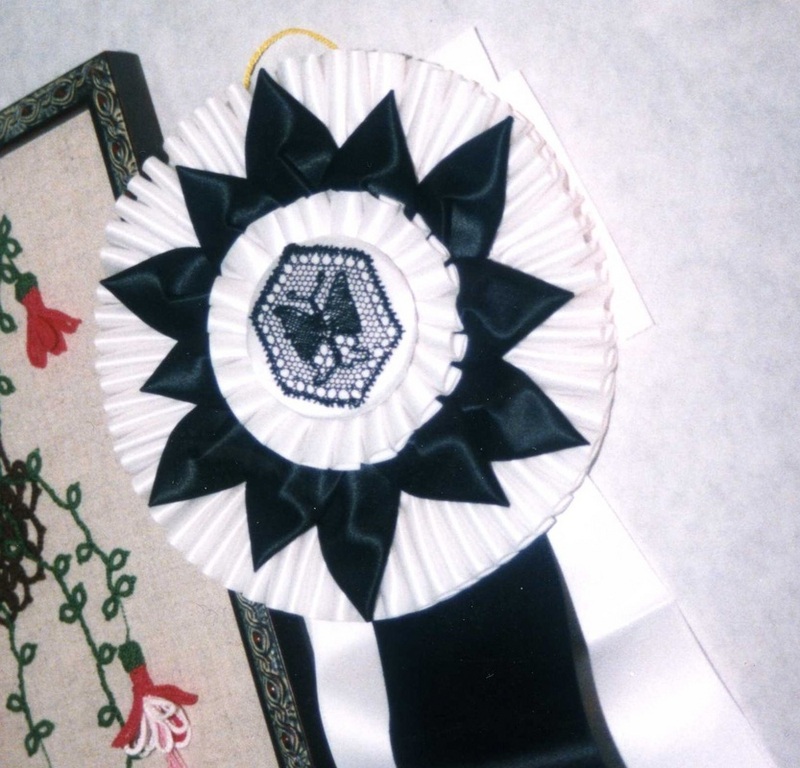 Each piece is judged individually, and given a numerical score. 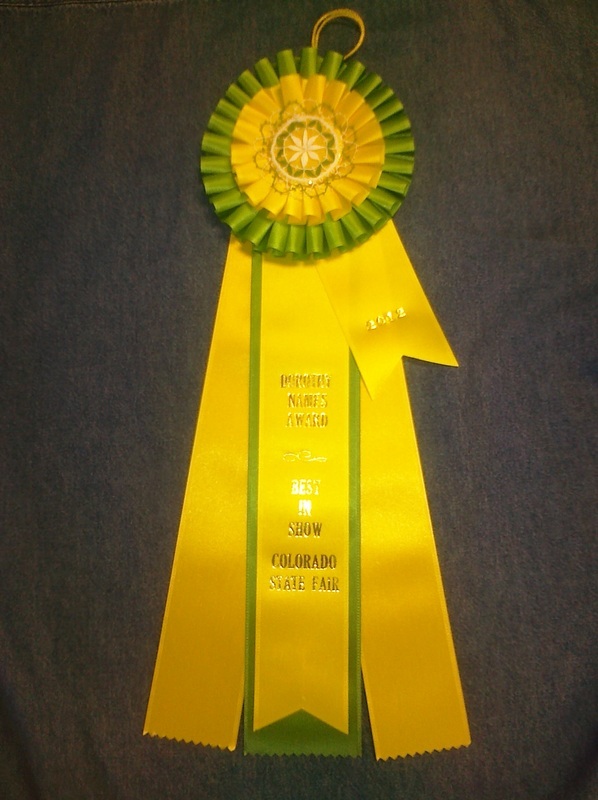 Only in the event of a tie is a side-by-side comparison made. In addition to the judging, RMLG also presents a special rosette to one entry in the lace classes, the Dorothy Names Memorial Rosette. 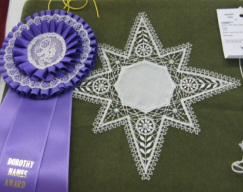 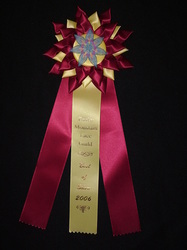 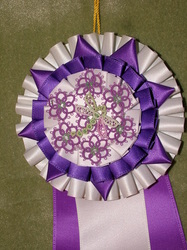 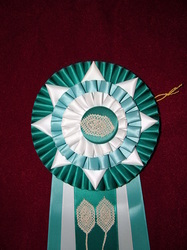 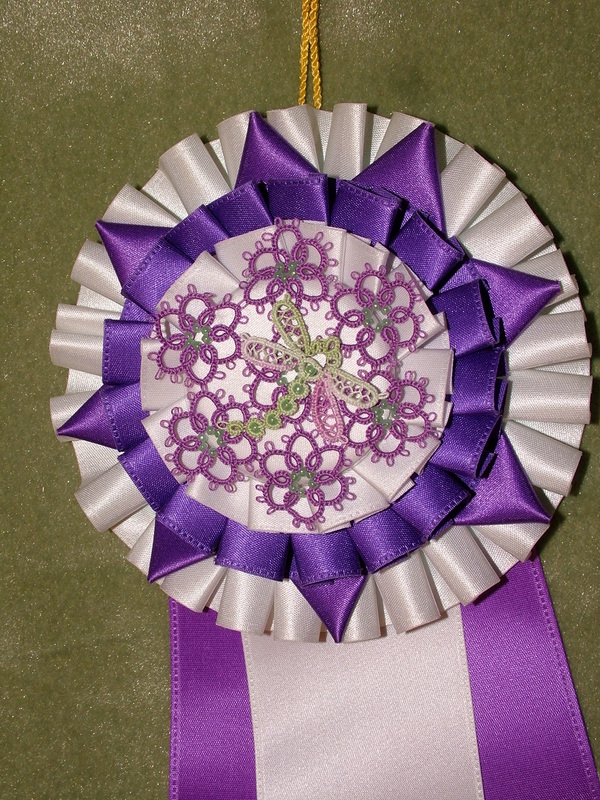 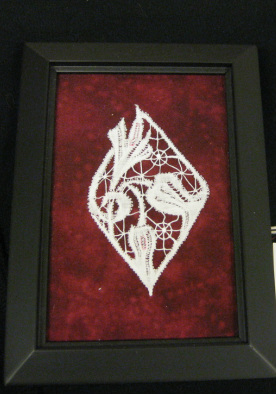 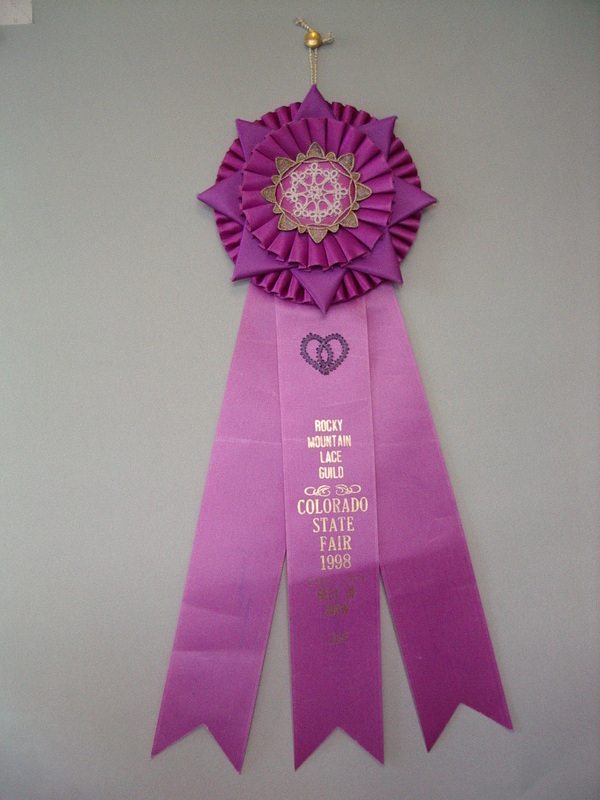 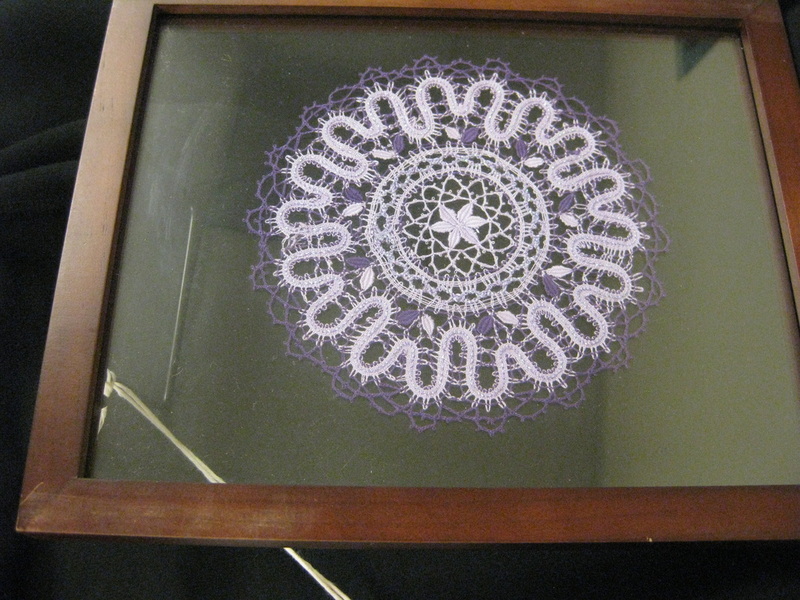 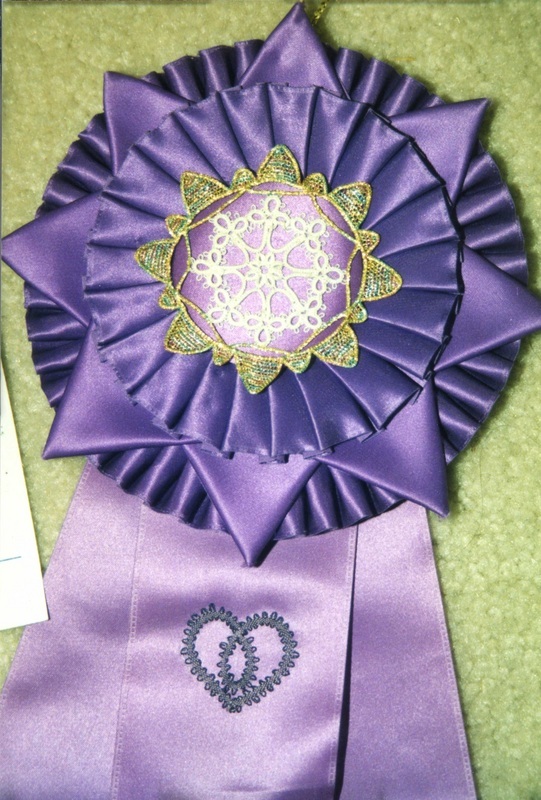 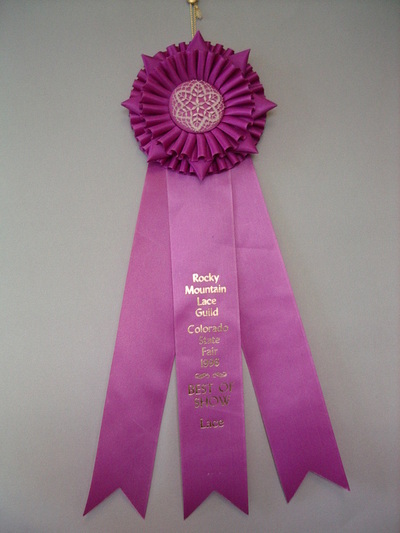 This rosette features a hand-made lace motif in the center, and is awarded to the Best in Show entry (note, there is a separate Best in Show rosette from the fair that may or may not be given to the same entry). 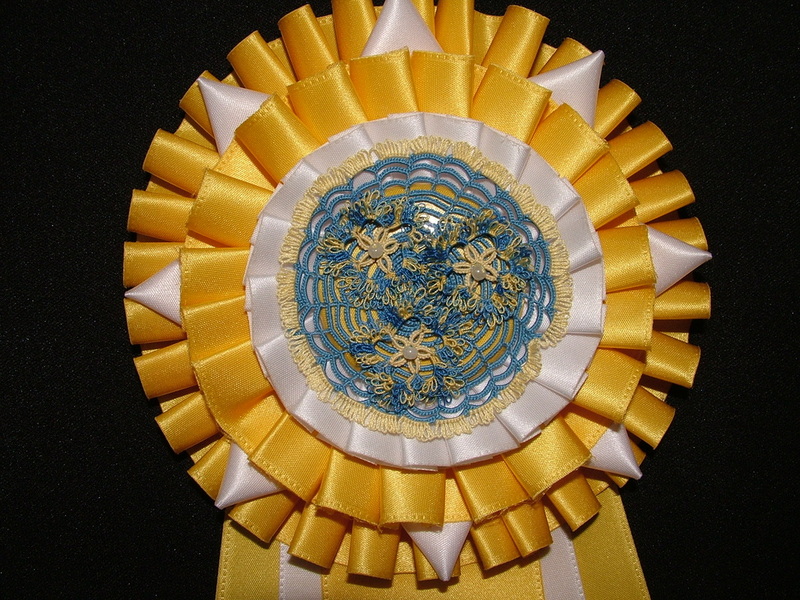 Some previous years rosettes are shown above. 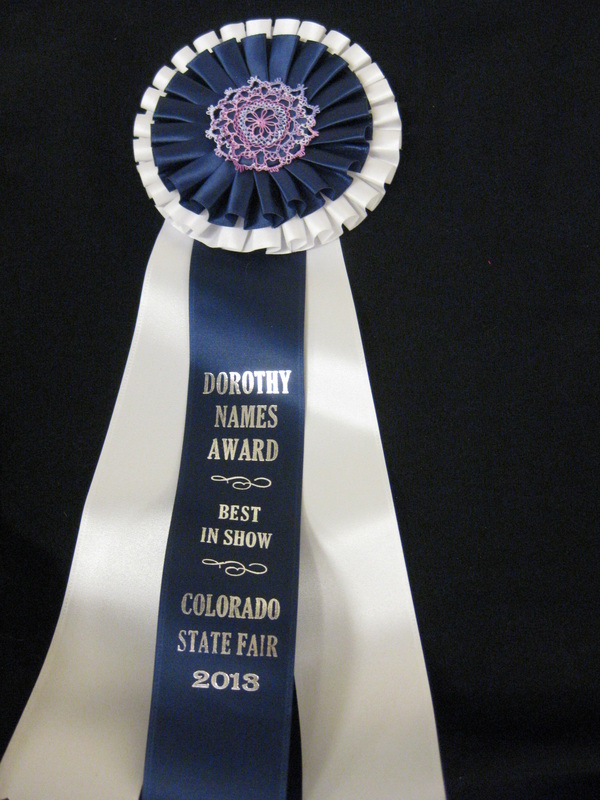 Congratulations, and thanks to everyone who participated in this year's fair!